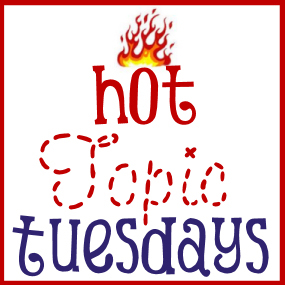 You are here: Home / In the News / Hot Topic Tuesday – When is a Large Family Too Large? Like most parenting issues, there is no one size fits all answer. Instead, I have a different line of thought. It’s more like a checklist. 1.) Can you support all of your children without government aid? If you answered “yes,” then I have a really hard time saying that it’s actually any of my business. If my tax payer dollars are not supporting your family, then more power to you. If, however, you are dependent on government aid (welfare, electronic benefits transfers, whatever your state/country calls it), then planning another child before your financial situation has improved is probably not the wisest course of action. *Caveat – I am not saying that po’ people shouldn’t breed or should lose benefits or what have you. I understand that accidents happen. I’m suggesting that it’s more responsible to wait until you can support another child because you’ve improved your circumstances. Adding another child to the mix just makes it harder to improve your situation. 2.) Can you provide adequate health coverage? If you cannot afford medical treatment for your family, then you’re not able to independently support them. I’m not casting stones at the uninsured. I’ve been an uninsured American. I think that the entire health care system needs some serious reform (and having lived under both American health care, with and without insurance, and under Canadian health care, I would take Canadian any day). But until those reforms happen, one must realistically look at one’s ability to both pay for medical bills and feed and shelter your family. 3.) Do you have health issues that will leave your other children at risk for not having a mother? This is where the Duggars are coming under fire. Their last child was born extremely premature. From what I understand (I don’t watch the show, so this is why my opinions are about more than the Duggars), it was a health problem on Michelle’s part that is likely to repeat as she gets further along the “advanced maternal age” spectrum. Not only does that make the pregnancy higher risk for the baby, it’s also a higher risk for the mother. If any mother (not just her) is running the risk of leaving her previous children behind because her health issues could kill her, then I can easily see how it would be criticized as irresponsible. There comes a point on when a cost/benefit analysis needs to be done, and statistics should seriously play a role. 4.) Are you raising your own children, or are your older children doing it for you? Look, when you’ve got significantly older children, they will have to help. It’s a part of life. My sisters are eleven and twelve years older than me. They were going to have to help. That’s why they got to have an opinion on if my parents should have me. And it counted. But if you’re assigning infants and toddlers to older siblings because you have more than you can possibly manage on your own, then it’s time to consider what you’re doing to the older children. They are still children and should get to have childhoods. Those childhoods shouldn’t be spent being responsible for the care and upkeep of younger siblings. But if you can manage them without using your older children as glorified nannies? More power to you. One huge argument that people like to make in favor of these exceptionally large families is that it was the norm in older days. But you know what else was the norm? A higher infant mortality rate. A higher maternal mortality rate. A higher childhood mortality rate. Shorter lifespans. Yes, my grandmother came from a family of 9. They did not all survive to be adults. If you’re into genealogy at all, take a look at those large families in your ancestry. A family of eleven (my second great grandfather, if I recall correctly) had five children survive into adulthood. Two were stillbirths. That was the ugly reality of large families back then. Everyone didn’t make it. Now? A family that loses a child is a tragedy. Children are expected to grow up and outlive their parents. Perhaps that (along with the invention of television) is why families are generally smaller in modern times. At the end of the day, though, there’s really only two people who can decide when a family has grown large enough: the parents of that family. Others can have opinions (and of course, most people do), but those opinions are not the ones that should be part of the equation. What do you think? When has a family grown too large? Leave your answer or your blog link to your answer in the comments! Next week: Cloth diapers or disposable? Thanks! Hope you’ll be back in the future! That was very well written. Like the previous comment, I agree, your post is very objective. I don’t dislike the Duggars’ because they have a large family, but I don’t applaud them either– it’s their business and I don’t have to follow suit! They have no debt (amazing!! ), they do not receive any form of government aid, every child has health coverage, from an outsider’s perspective– they are loved, and they all seem to be well rounded. In traditional societies, babies are naturally spaced about three years apart because of breastfeeding. Close pregnancies are also associated with many health issues for moms and babies. In the UK we give families who are unable to work, or on low income benefits and this will depend on the no of children – so if people decide to have more children they will get a bit more money – which means they could possibly still afford to have more. But yes, people do feel that because these people don’t “work” they should stop and I think it needs to be considered why they aren’t working. Anyway great post – I stopped as my youngest was born at 35 wks and actually I have just got out of hospital with him again so glad we stopped.